My naughty little Ittybot is 7 months already! 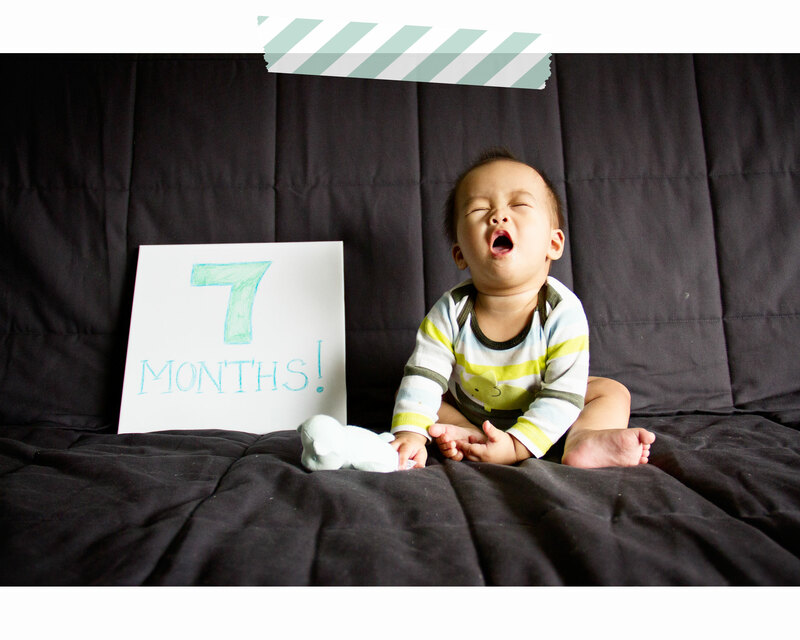 I say this every month and I probably will continue to say it every month…he is growing too fast! Look at that trouble-maker face! At 7 months he looooves his baby einstein. Specifically the one about discovering shapes. He is also obsessed about the numbers song found here. Still scooting along sometimes will crawl if he really wants to get to something. Still is too lazy to hold is on bottle. My boy is a little prince, what can I say? Loves to eat bananas, avocados, and carrots. OH. And his new thing? Getting up a minimum of 3 times per night. Yayyyyy!! On July 30th, we got in my little Corolla started our long road trip from Florida to Minnesota. Imagine my anxiety being in a car with a 5 1/2 month old for 24 hours! We decided to split the trip into 3 days so it wouldn’t be so hard on little Ittybot. He did great! The little boy is such a trooper! He only had a handful of baby fits but he was just letting us know that he’s had it for the day. He gave us a good 8-10 hours each day. Can’t complain about that — that was about my max point too! Ittybot’s first plane ride!! 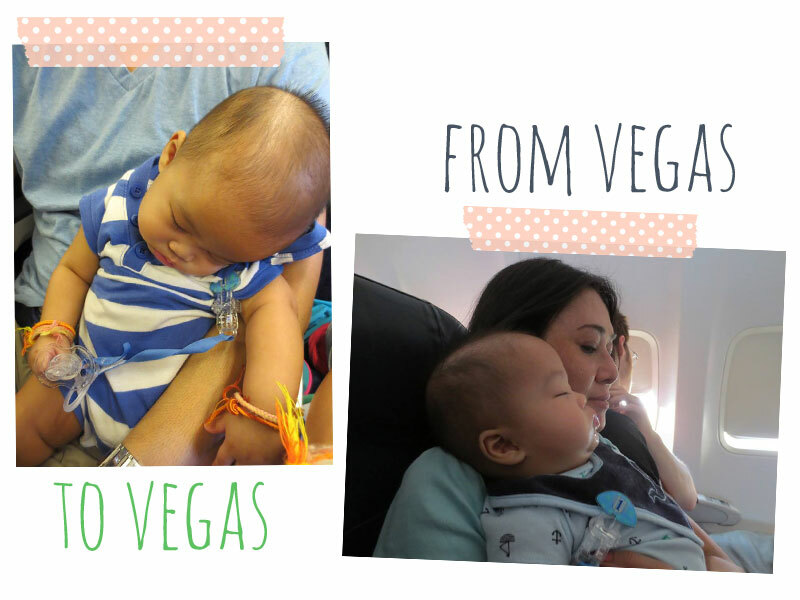 His first trip was to, wait for it…VEGAS!! You can say we’re starting his party animal ways early. 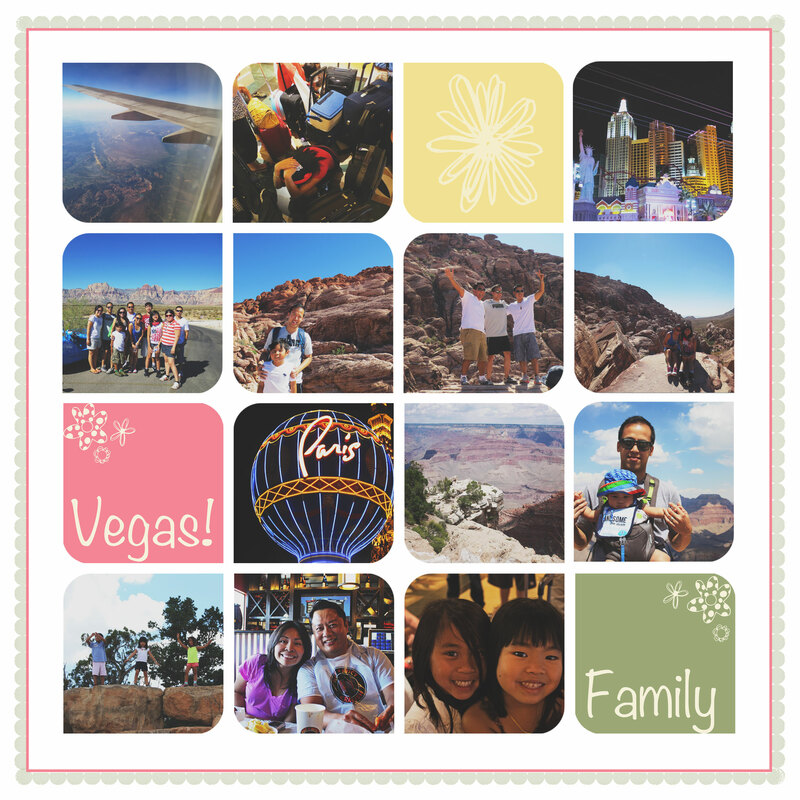 Our family vacation took place in Vegas this year and there was no way I was getting away with not attending, so we went with it. It didn’t turn out as bad as I had imagined. There were more strollers there than I thought! I wasn’t the only crazy parent! We had a good time, just take a look! And here we are now…in the Netherlands! Jet lag has Ittybot up in the wee hours of the night. I’m still coping with the culture shock but I think I’ll be ok since I found a chinatown in a neighboring city.